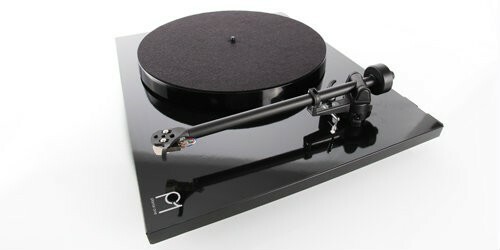 Rega’s reboot of the Planar 1 with an added plus means more than a cosmetic makeover. With the dramatic upturn in vinyl record sales the need for good quality entry level turntables has increased exponentially, and Rega has been right in there, boots and all. Now they’ve done a couple of really clever things with the already pretty fine Planar 1 to make it the ultimate audio machine for the technically challenged. The Planar 1 Plus comes complete with a quality prefitted cartridge and set-up time for the turntable is said to be as little as 30 seconds! Now, anyone who has spent precious hours with all the fiddly bits of a tonearm and cartridge knows that this is no small thing to get right, and appeal to the simple folk. The other major innovation with the Rega Planar 1 Plus is the addition of a built-in phono stage. This is clever thinking, because these days, many amplifiers do not have them. Perhaps it’s a legacy of the days when CDs ruled, or a cost factor, but until now, newbies to the land of the turntable were often caught out with the extra expense of buying a stand-alone phono stage and the hassle of interlinking the wee box between the turntable and the amp. What the Planar 1 Plus adding a built-in phono stage to the turntable itself means is that there’s absolutely no farting around with connections, as the turntable can then be fitted to any line in. As well, it means that there’s less of a dent in the pocket of those either new to vinyl or coming back to vinyl after a long lay-off… those putting a tentative foot back in the water by purchasing a less expensive turntable. To enable the addition of the phono stage, the Planar 1 Plus has had to lose its USB connection, but that’s okay with us. Every crappy little Red Shed $100 so-called turntable features a USB connection, and who really needs them anyway? Taping vinyl is killing music!